ABS brakes, Compass, Electronic Stability Control, Low tire pressure warning, Traction control. 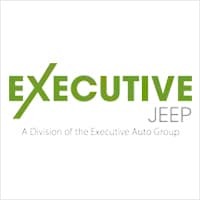 Thank you for visiting Executive Jeep Nissan. Since 1972 we have served the Hartford, New Haven, Berlin, Guilford, Wallingford and North Haven areas and have helped new car and used car buyers find the perfect vehicles to drive home in. After decades of service to our customers, we have become synonymous with providing a quality selection, excellent prices, and friendly service. Our Difference is the Key! *Price excludes state and local tax, registration fees, and dealer conveyance fee or processing fee. Internet pricing includes all incentives and rebates. Special offers and pricing can only be applied to MSRP.